Deputy mayor Igor Terekhov held a meeting with Ambassador of Germany to Ukraine Johannes Regenbrecht on April 12 in Kharkiv, the City Council press service reported (RU). The ambassador was interested in political issues, so today the officials spoke about Kharkiv’s political situation and elections in 2015. The ambassador was surprised how the citizens unanimously supported the party “Vidrodjennya” and Gennady Kernes. Regenbrecht noticed positive changes in Kharkiv during recent years. In addition to the policy, the economic component was discussed. In particular, the fact that Kharkiv’s industry needs investment and new markets. 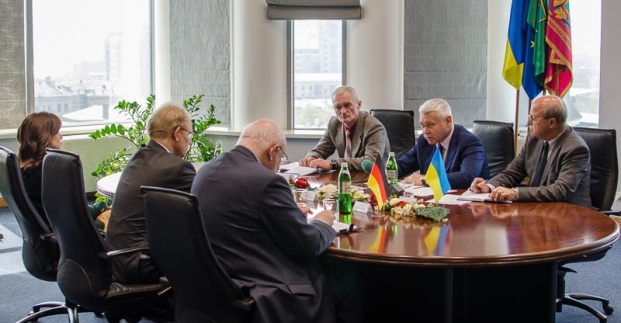 The officials also discussed the areas of future cooperation between Kharkiv and Germany, the next steps in the field of decentralization and urban development.